The thought of a new home has come up, so naturally, getting top dollar for your current house is high on your list of priorities. You also want to keep the spending as low as possible. The good news is there are some very effective ways you can influence how a potential buyer looks at your home. And in turn, they'll be willing to pay your asking price. 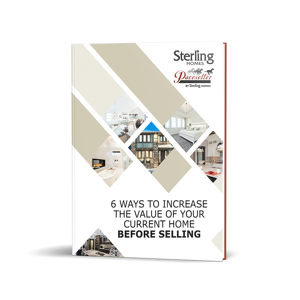 When you download our FREE Guide on the 6 Ways to Increase the Value of Your Current Home Before Selling, you'll get access to proven tips and tricks to help you sell your home faster and for more money. Ready to spruce up your home and attract buyers who will pay your asking price? Fill out the form on this page for your FREE Copy of the 6 Ways to Increase the Value of Your Current Home Before Selling today!